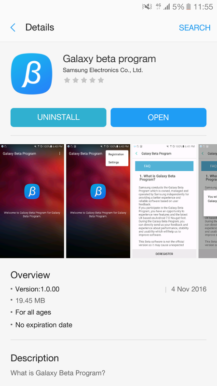 Samsung has made the program official. Sprint beta testers will begin to receive the update on November 9th, Verizon testers on the 11th, and T-Mobile testers on the 14th. 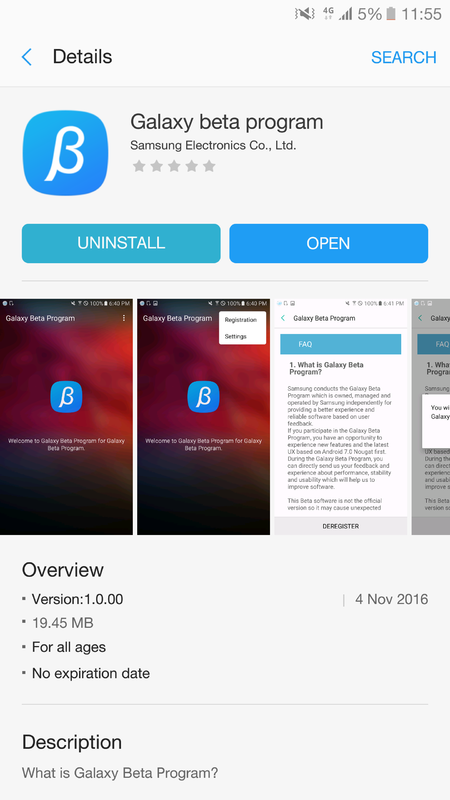 Late last week, an eagle-eyed XDA user and Galaxy S7 edge owner noticed an app in the Galaxy Apps store entitled "Galaxy beta program." 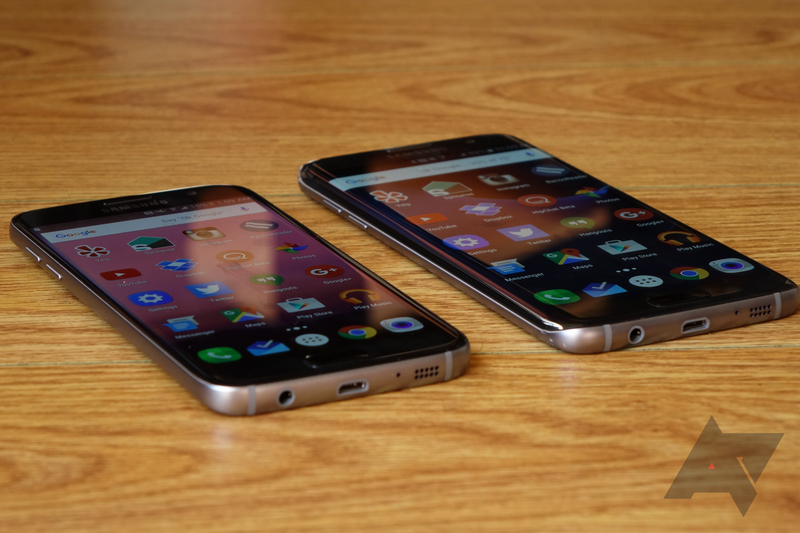 Not unexpectedly, many owners of Galaxy S7-series phones, myself included, got excited. Now, thanks to a major oversight on Samsung's part, we've got a ton of information about Samsung's upcoming Galaxy Beta Program. 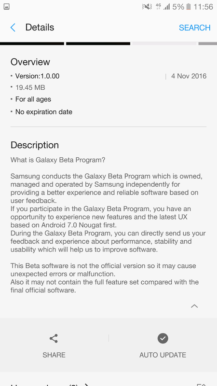 Starting November 9th, select Galaxy S7 and Galaxy S7 edge models in the United States, United Kingdom, South Korea, and China will be permitted to enroll in the Galaxy Beta Program. This program will allow participants to try out Android 7.0 Nougat, in hopes that they'll provide feedback helpful to engineers. The beta will likely cease around mid-December, but users will still be able to use the beta software beyond the end date. 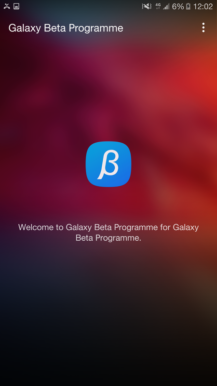 To enroll, you'll need to download the Galaxy Beta Program application from Galaxy Apps, submit an application form via the 'Registration' menu, and enter your Samsung account credentials (you can register for one here). After this, the 7.0 Nougat update should pop up through your phone's Settings menu when you manually check for system updates. 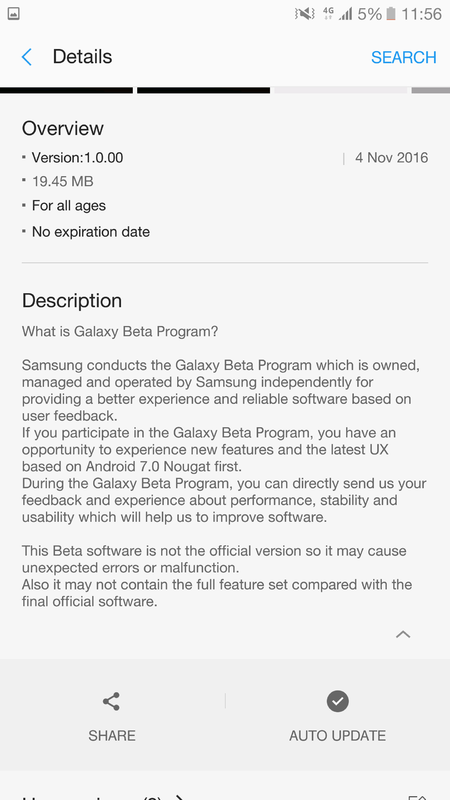 It's also worth mentioning that Samsung isn't guaranteeing entrance to the beta to everyone who applies. In the US, Sprint (SM-G93xP), T-Mobile (SM-G93xT), and Verizon (SM-G93xV) models of the Galaxy S7 and S7 edge will be able to take part in this program (sorry, AT&T S7 owners!). Oddly, the unlocked versions (SM-G93xU) are not mentioned, but the program's FAQs specifically say that the S7 edge Olympic Games and Batman Injustice Editions will not be supported. Those of you in the UK with unlocked models of the S7 and S7 edge are eligible. Again, the Olympic Games and Batman Injustice Editions of the S7 edge are not supported. For South Koreans, SKTelecom (SM-G93xS), KT (SM-G93xK), and LG U+ (SM-G93xL) variants are eligible, and as with the US and UK, the S7 edge Olympic Games and Batman Injustice Editions are not supported. The Chinese FAQ page doesn't list any models in particular that will be compatible. We only have to wait two days for a taste of Nougat on Samsung's phones, so try to remain patient (AT&T customers excluded, of course).